Cool, I've tried Arduino, BeagleBone, and STM boards before, but this would be my first experience in coding on Raspberry Pi, which quite famous and cheap as well. 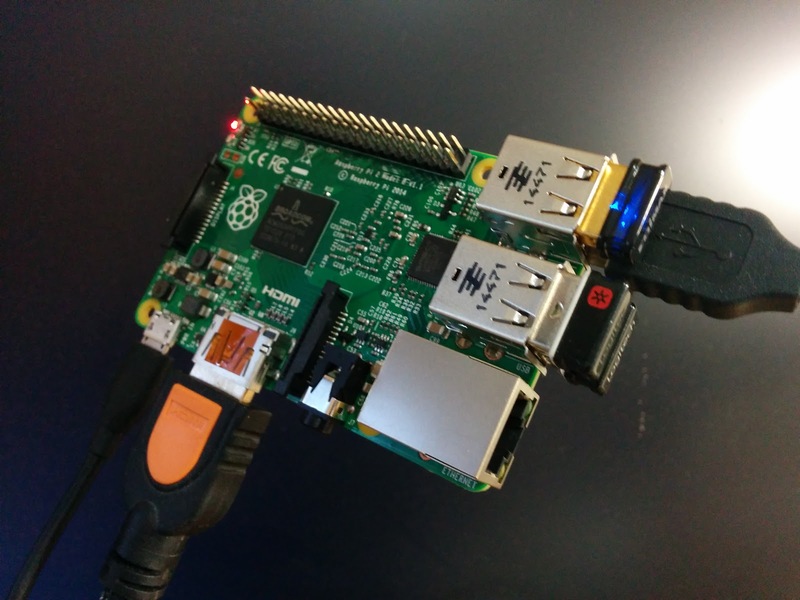 In this post, I would write down my steps for setting up Raspbian, a Linux distribution designed for Raspberry Pi. Although there are already tons of tutorial regarding to this, I will include some troubleshooting as well. After several trials and Googling, I found the problem is caused by the adaptor that adapts the small Micro SD back to the normal size where its switch isn't functioning well. Funny discussion regarding to this issue can be found online, such as "it worked when it was about 75% towards the unlocked position, but you might need to fiddle with it a bit". No matter how I place the switch lock, it never works. So, I then brought a small Micro SD Card Reader, which costs around USD2.5, and it fixes all the problem nicely. I am using pv in the middle instead of barely using dd is because that dd doesn't show the process bar, which is hard for me to know how long will it take, and how much is done. Basically, the followings would be easy and we are already about to finish. Plug in the cables as below, and it will power up right after the micro USB is plugged in. Everything should be set so far, and if you're using NOOBS system installer, it will do rest of the jobs. The only thing is you have to do is to select your settings or system you wish to install. However, there's one issue I found when I just setup Raspbian, the operating system designed for Raspberry Pi based on Debian. It's using different keyboard layout which is a general one that I used to. So, to fix the problem, we have to fire up keyboard-configuration and pick the right setting. Steps are in this link. The settings will start to affect only after reboot.